An IDF general has come under fire after his remarks suggested a parallel between Nazi Germany and present day Israel in his Holocaust Remembrance speech. The controversial comments fueled heated discussion among politicians and on social media. “It's scary to see horrifying developments that took place in Europe begin to unfold here,” Israel Defense Forces Major General Yair Golan said, addressing an audience at Tel Yitzhak in central Israel. On Wednesday, Israel along with Jewish communities around the globe marked Holocaust Remembrance Day. The general also commented on the recent case of Elor Azaria, an IDF soldier who was indicted for manslaughter for fatally shooting a Palestinian attacker who had already been wounded and immobilized, in the West Bank in March. 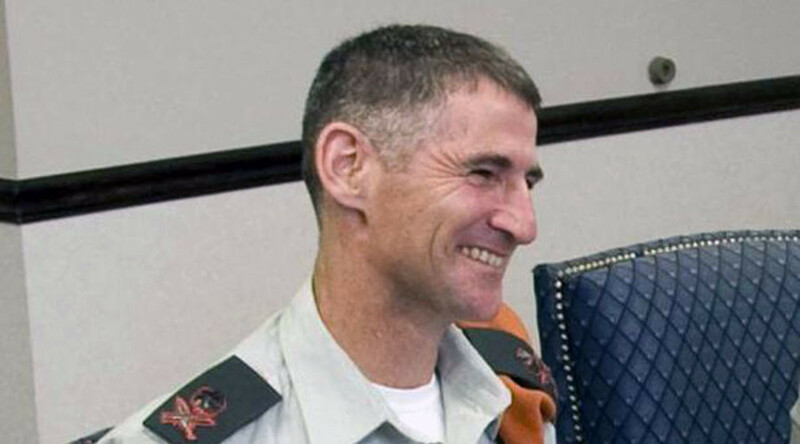 @Jerusalem_Post humanity returned to this Israeli general! “Improper use of weapons and violating the sanctity of arms have taken place since the IDF's founding,” he said. Though Golan didn’t make a direct comparison by name between Israel and Nazi Germany, his remarks sparked huge discussions among Israeli politicians. Education Minister Naftali Bennett demanded that Golan retract his remark, while Justice Minister Ayelet Shaked told local media that Golan was “a little confused” and his statement showed "a lack of understanding, if not a disrespect of the Holocaust." Israel PM Netanyahu disapproved of Golan's speech, Haaretz reported, citing sources in the Prime Minister's Office. “With all due respect to the deputy chief of staff, the prime minister believes he was mistaken in his comments and it's good he fixed them,” the sources quoted Netanyahu as allegedly saying. The IDF hurried to explain in a statement that Golan’s comments did not compare Hitler’s Germany to Israel. “There was no intent to draw such a parallel or to criticize the civilian leadership,” he added. Our moral compass thank you Vice Chief of Staff Golan! “The attacks on him due to intentional, distorted interpretations of something he said yesterday, are an additional attempt of a worrisome campaign to inflict political damage on the IDF and its officers,” the Defence minister added. However, critics continued speculating about Golan’s comments. “Disturbed people who will start shouting now against him ought to know, this is what morality and responsibility sound like,” center-left opposition leader Isaac Herzog wrote on Facebook. @Jerusalem_Post For an IDF general to suggest any parallels with 1930's Germany, truly insane!!! According to Knesset politician Zehava Galon, Golan's words “reflect the depth of serious crisis between military commanders and the political echelons who undermine IDF values and encourage militancy,” as cited by Haaretz.